Here at HPCS we really like Microsoft Security Essentials. If you have windows 8 and your trial of Norton or McAfee that came with your pc has expired, try it out. It’s included on Windows 8 just search for “Windows Defender”. 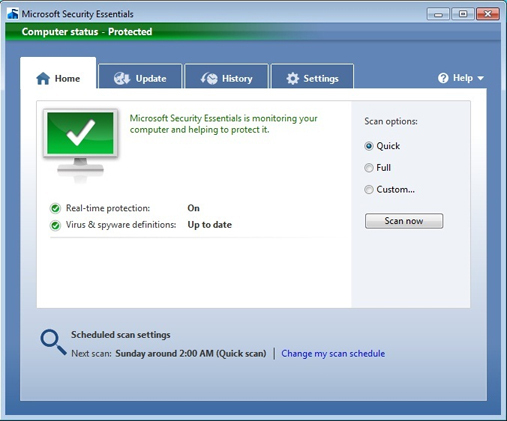 On Windows 7 Windows Defender was just the malware protection and you’ll need to install Microsoft Security Essentials. Remember you don’t want to have more than one type of antivirus software running at a time so be sure to remove any others you have installed.